Fans can enter through the third base side gate next to the clubhouse and seating will be available in the orange seat back section. No other area of the stadium will be open to the public. There is no public parking by the clubhouse. Anyone attending practice should park on the first base side of the stadium or utilize the parking lot shared by Lee Stadium and Regal Soccer Stadium. NCAA rules do not allow for any campus contact with prospects, prospect's friends or family members who have not reached September 1 of their junior year and any such individual is asked to not approach a member of the coaching staff prior to, during or following practice and is asked to remain in the designated viewing area. 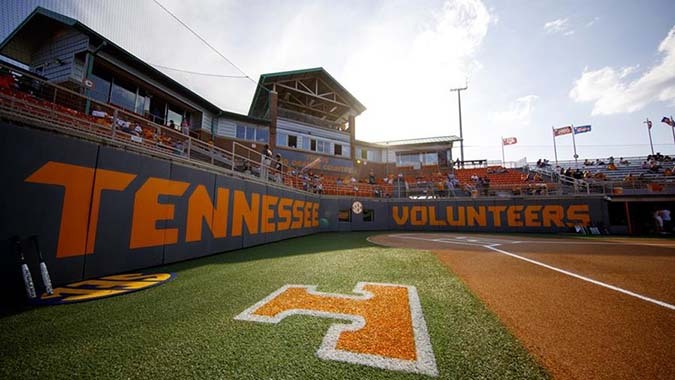 Be sure to check UTSports.com and follow Tennessee Softball on Twitter (@Vol_Softball), Facebook (Vol Softball) and Instagram (@Vol_Softball) for updates.